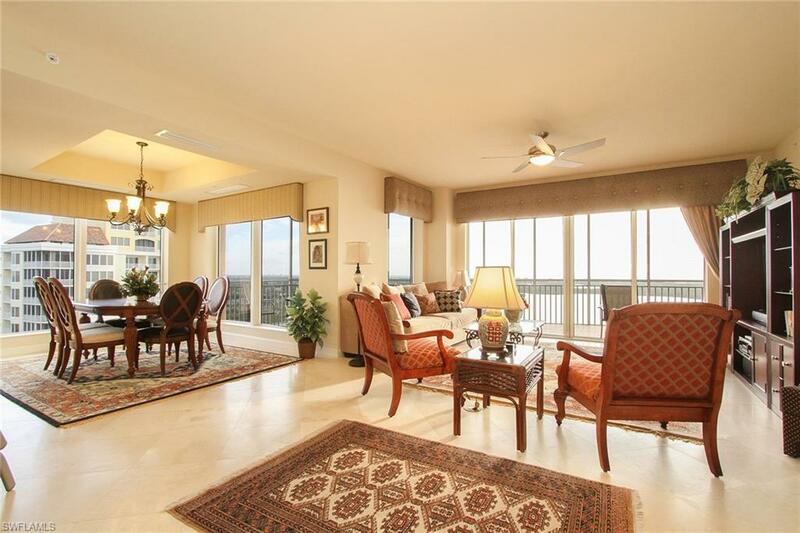 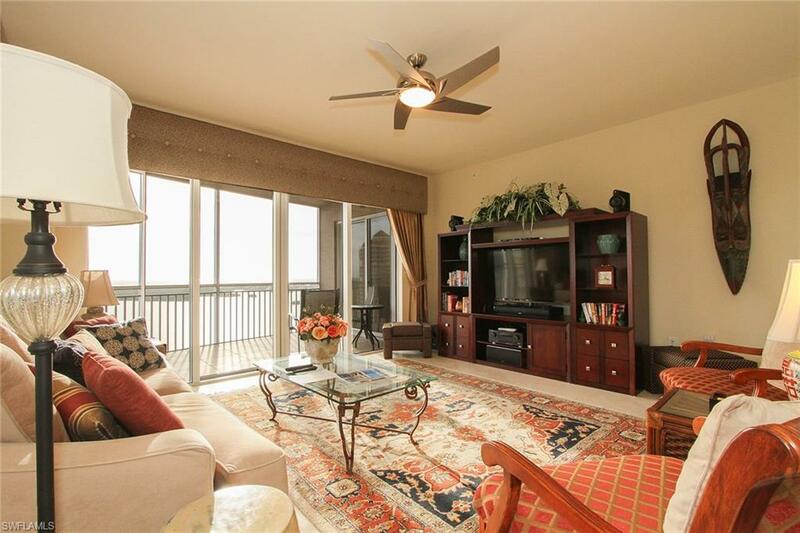 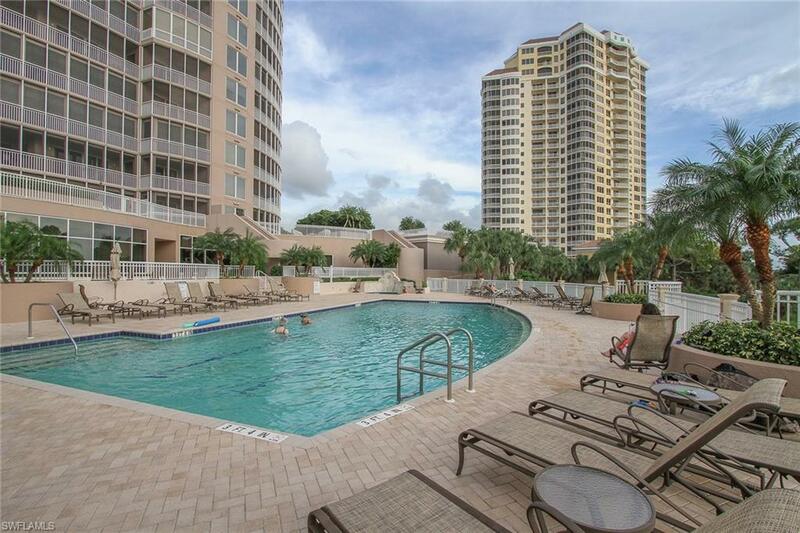 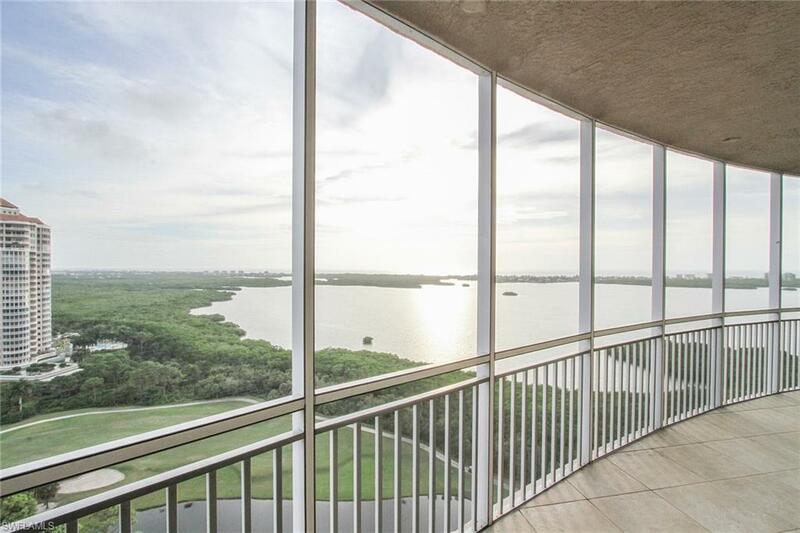 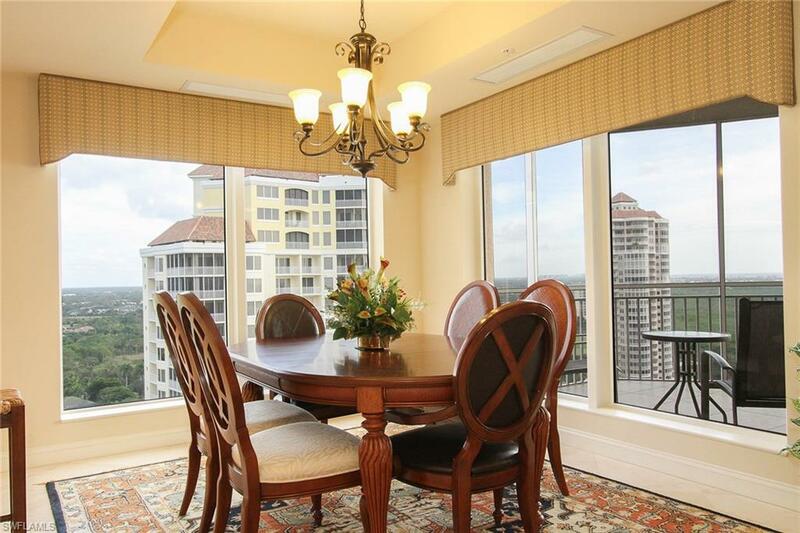 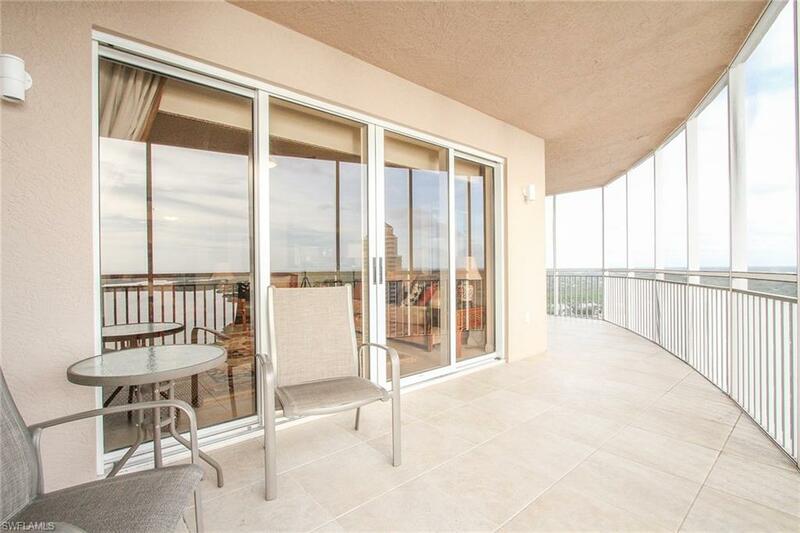 Luxurious high-rise end unit condominium located on the 21st floor with incredible views of both the Bay & Gulf! 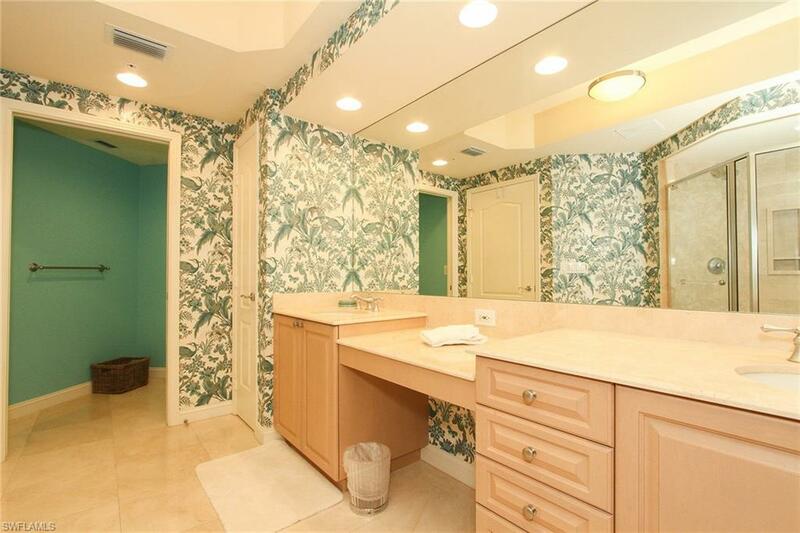 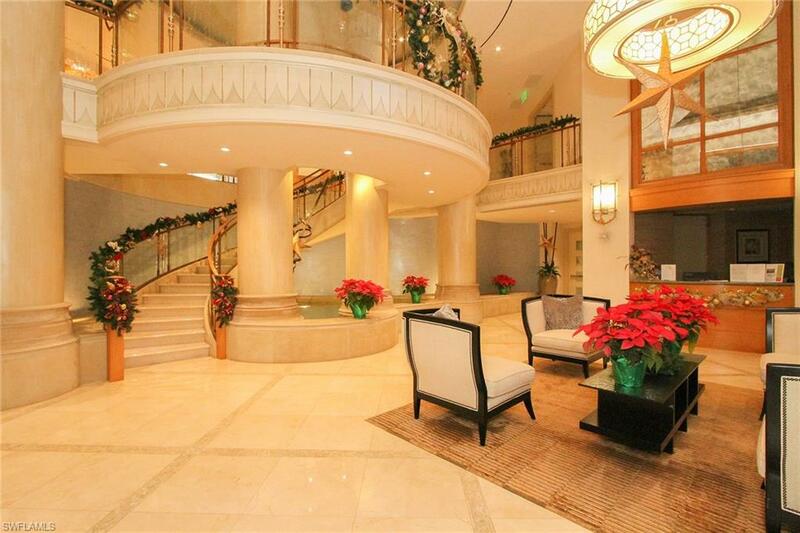 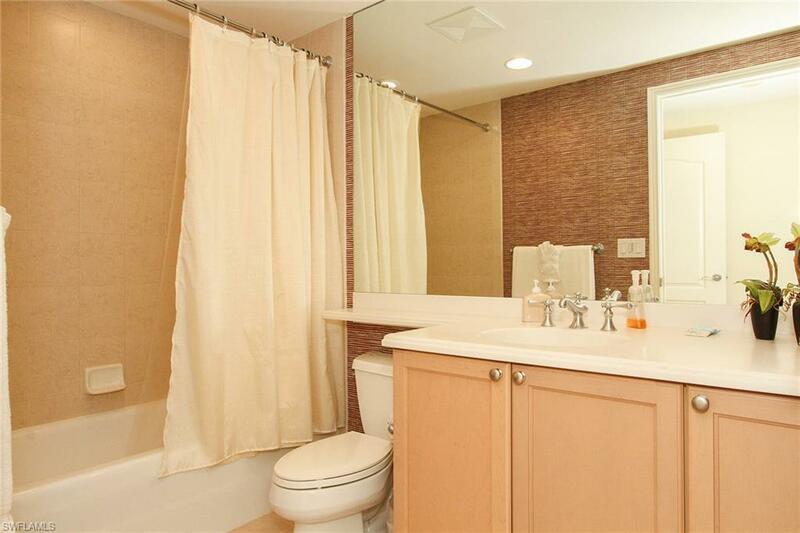 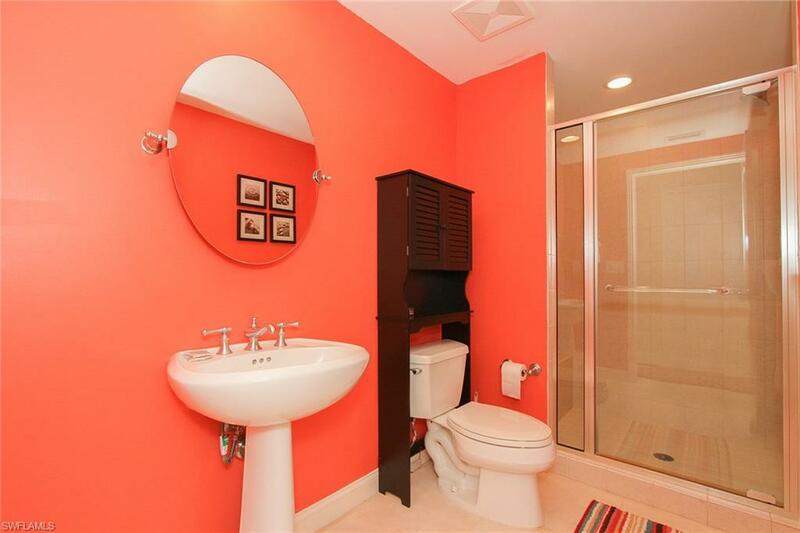 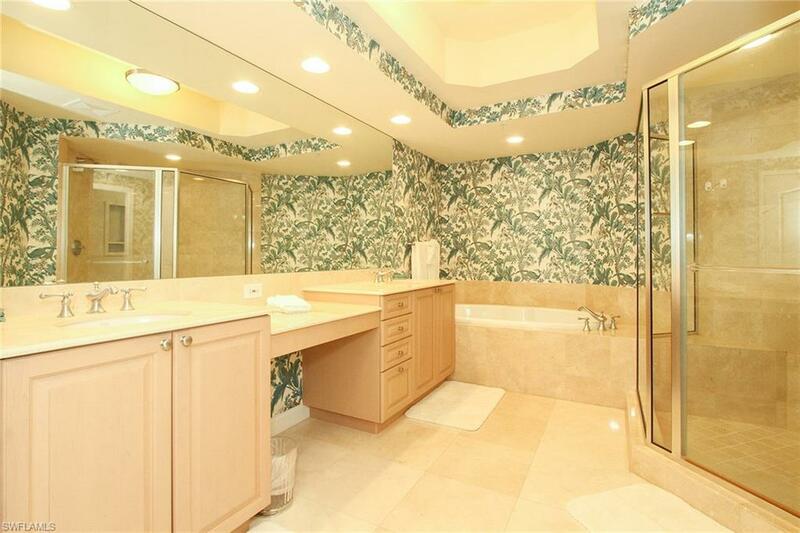 This residence offers 2 bedrooms, 3 bathrooms, plus a den. 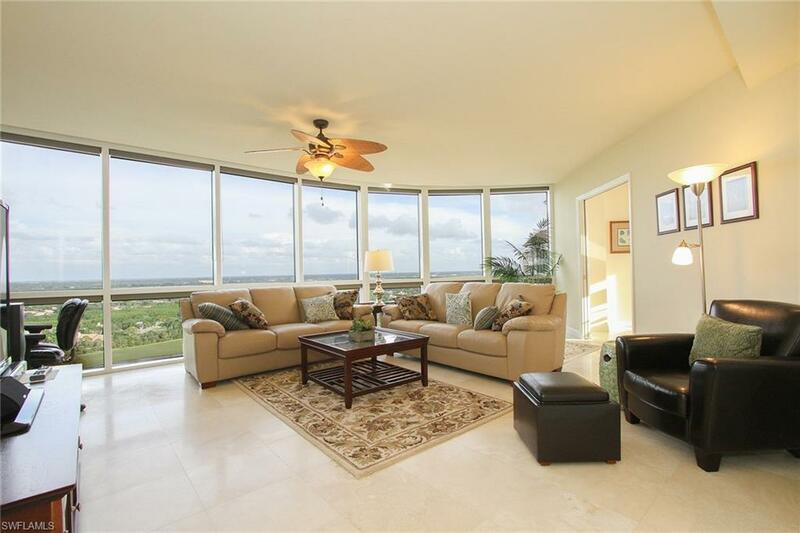 Some features include a fully equipped/updated kitchen, updated bathrooms, marble flooring, and dining & living areas overlooking the endless view of the ocean. 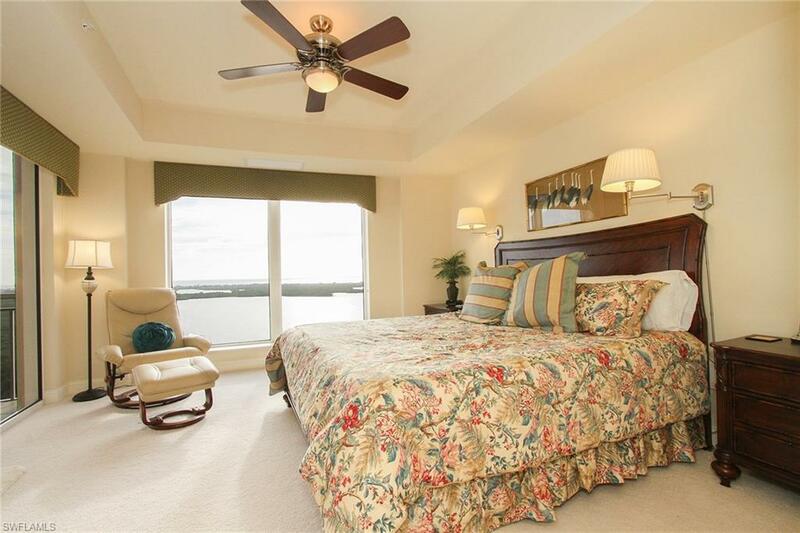 Master suite is fitted with a King bed, flat screen TV and an attached master bathroom with soaking tub & separate shower. 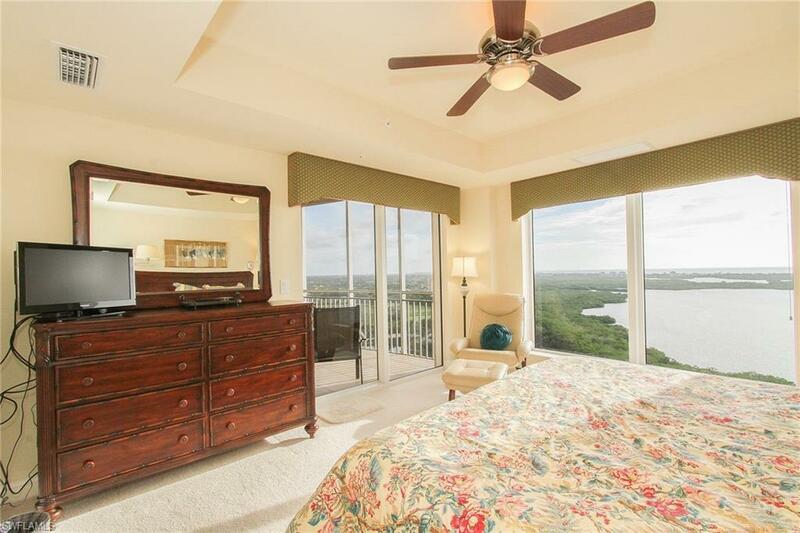 Guest bedroom is comprised of two twin beds w/private attached bathroom. 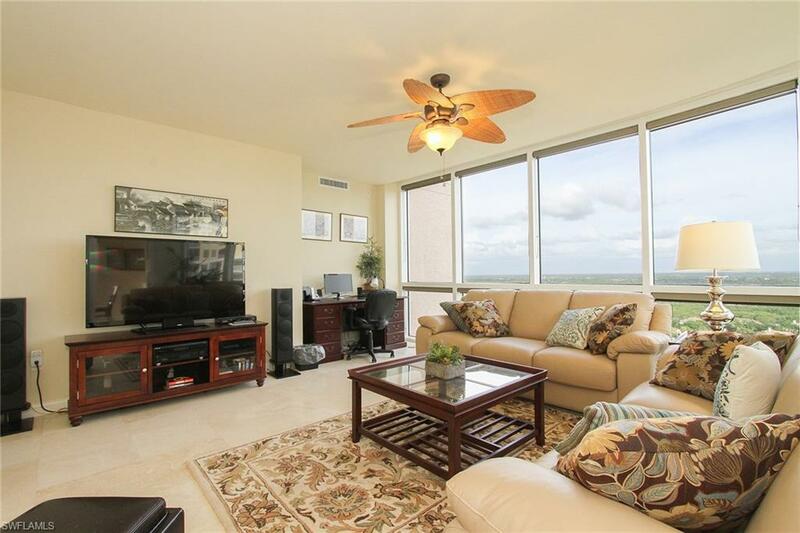 Den has floor to ceiling windows that brings in an abundance of natural light, flat screen TV, desk, and a sleeper sofa. 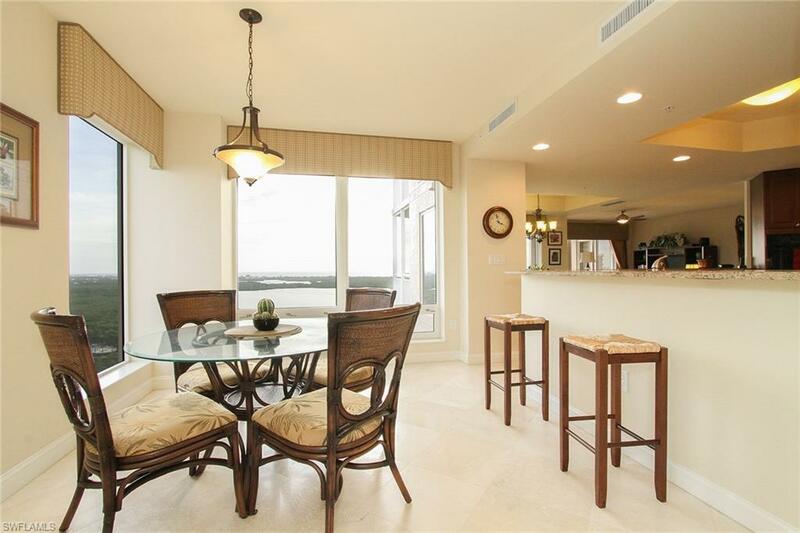 Sit back and relax on the expansive SW facing lanai and enjoy watching the Sunrise & Sunset! 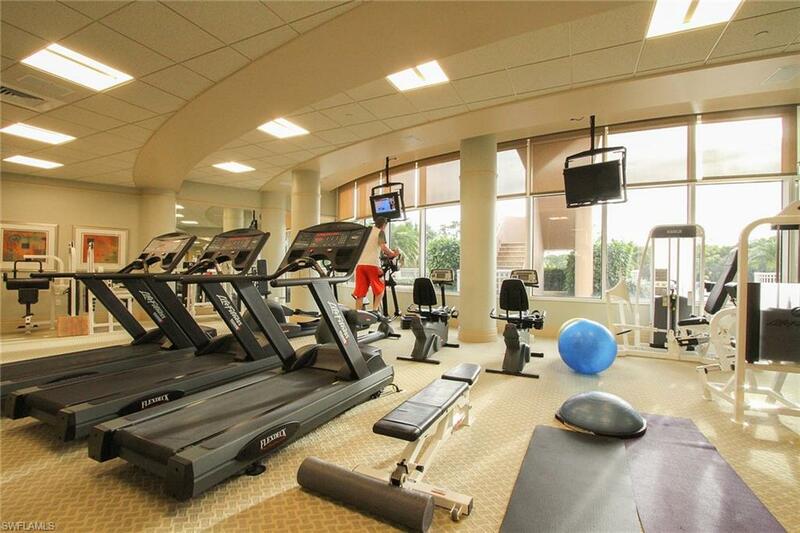 Estancia amenities include fitness center, massage room, clubroom, card room, resort style pool, gas grills, and guest suites. 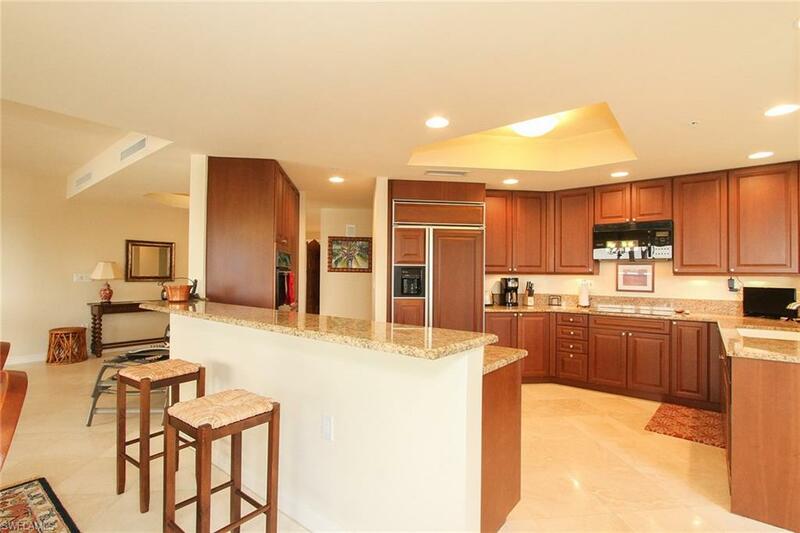 Located in the award winning gated community of Bonita Bay where one-half of the 2,400-acre community is devoted to golf courses, parks, lakes, natural preserves and open spaces. 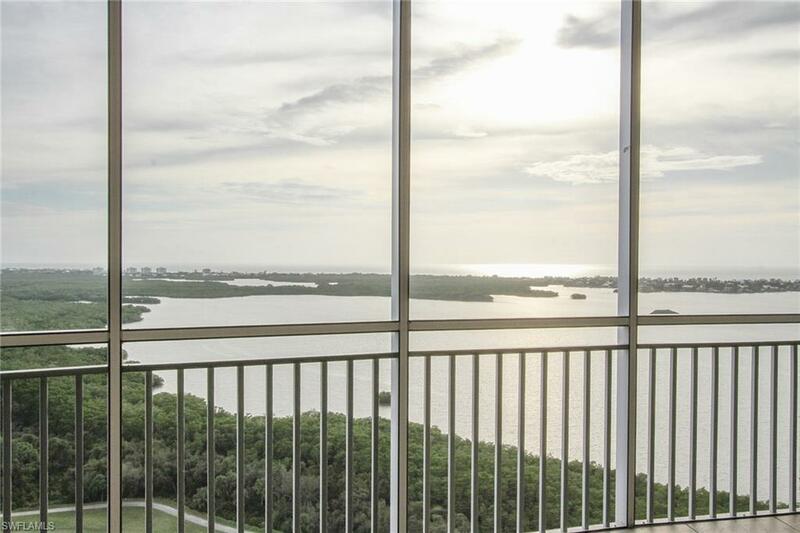 Enjoy the 12 miles of bicycle/walking paths or take the shuttle to Bonita Bay's private beach park on Bonita Beach. 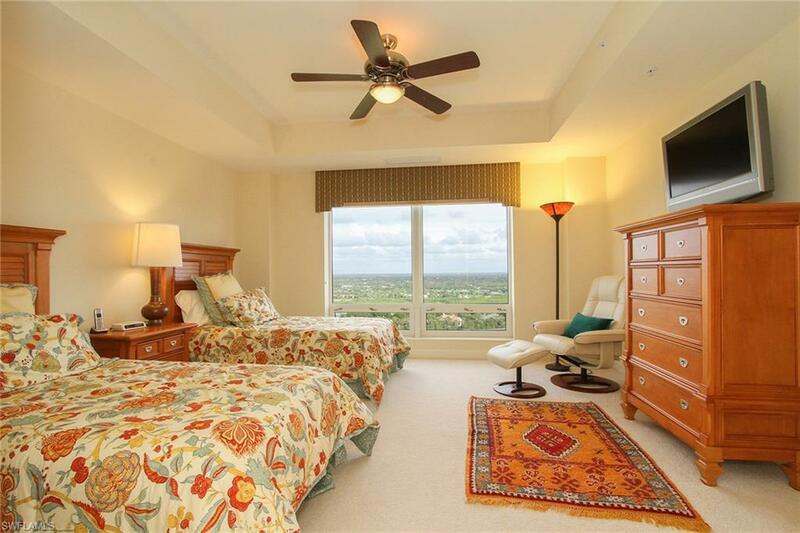 A true delight for nature lovers!